We are grateful to those who joined Saplings for our first year in Lions Bay, and we are very excited to have the opportunity to spend time with all of your amazing children again next year. We also offer an after-school program from 2:45 – 5:30 p.m. that runs from September to June for school-age children. Please note: Saplings will be applying for the Child Care Operating Fund. If this is of interest to you, please email Christie at saplingsreg@gmail.com. Due to the nature of the community in Lions Bay, we run a multi-age program for children ages 2.5-6 in the preschool class, and children ages 5-10 in the after-school care program. Forest School Programs lend very well to multi-age play, as children can play and explore at their own level. Mixed-aged classrooms have the benefit of “muddying” age-based comparisons and competition between children. Saplings chooses to run a multi-age program to make sure we are able to provide care for all the families who are interested. Saplings' community is based on a fundamental respect for young people and their capacity to investigate, stretch their boundaries, and maintain curiosity in the world around them. We believe in a child's right to play; their right to access the outdoors (and in-particular a woodland environment); their right to access risk, thereby realizing the vibrant reality of the natural world; as well as their right to experience a healthy range of emotions through all the challenges of social interaction. 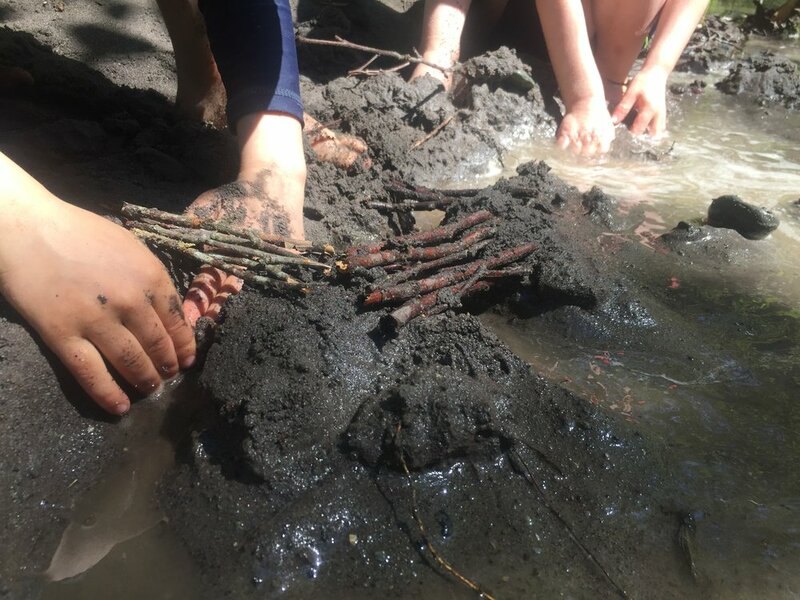 Making use of the outdoors to create a unique learning environment creates fundamental skills that encourage each child to build a resilience that enables continued and creative engagement with their peers, and a continuous exploration of their own potential. Preschool Program Monday- Friday (part-time and full-time options available). Preschool Program 8:45 a.m. – 11:45 a.m.
Preschool Program 11:45 a.m. – 2:45 p.m.
Extended-Day Preschool 8:45 a.m. – 2:45 p.m.
Before and After School Programs 7:30-8:45 a.m. & 2:45 – 5:30 p.m. 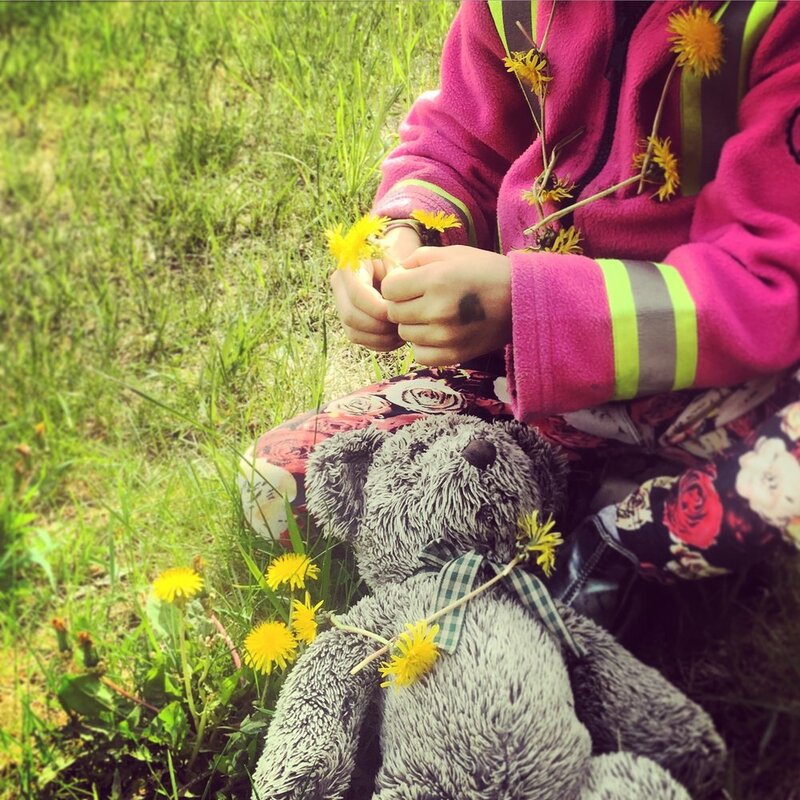 Enjoy outdoor play and exploration at Lions Bay Saplings Preschool. This play-based outdoor exploration program is for children ages 6 months to 6 years, and a parent or caregiver. Wednesdays 9:30 – 11:30 a.m.